When it comes to money, it’s valuable to distinguish between making wealth and growing wealth. 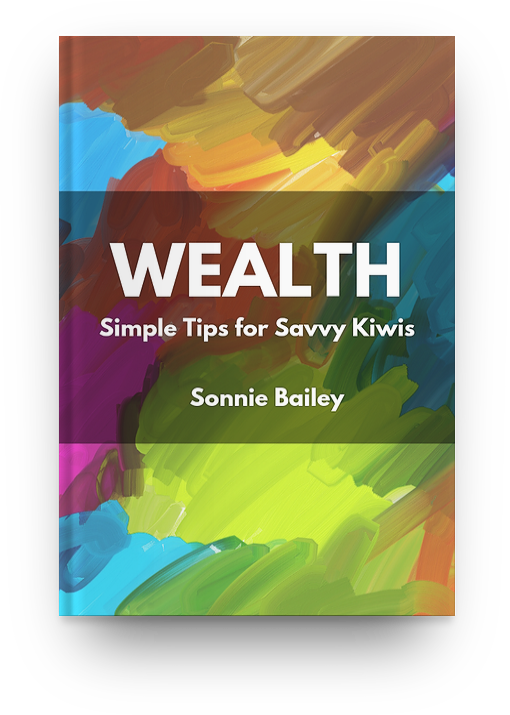 Making wealth relates to saving, and accumulating assets to invest. Growing wealth relates to investing those assets you’ve accumulated. It’s easy to focus on investing and growing wealth. But in a lot of ways, investing is the easy part. Most people can’t go wrong investing in low-fee, index-based managed funds, like those managed by Simplicity or SuperLife or one of the funds on the InvestNow platform. For most people, making wealth is where it’s at. Having a decent savings rate. Accumulating assets that can be invested. Contribute more than “the minimum” to KiwiSaver. Sure, you don’t get a lot of tangible benefits for doing so. And there are downsides associated with investing in KiwiSaver, including not being able to access the funds until you’re in your sixties. But you can think of this as a feature, rather than a flaw. You never miss the money you never see. And you’re never tempted to spend the money that you can’t actually access. If you can’t afford to increase your contributions to KiwiSaver right now, consider pre-committing to increasing your contributions the next time you have a pay increase (for example, if you get a new, higher-paying job). There’s a lot to be said for the peace of mind of putting away money for retirement. Maximise your loan and mortgage repayments. Repaying debt is the same as rebuilding wealth – so long as you don’t use this as an excuse for taking on more debt. For a lot of people, the idea of “smashing” debt can be really motivating. The sooner you can pay off your debts – especially your mortgage – the sooner you’ll be in a position to accelerate your retirement savings. Set up an investment account and make automatic contributions. This is similar to my comments relating to KiwiSaver. Small amounts can really add up. For example, if you’re 30 years old, and decide to save an extra $20 a week and let it accumulate at a constant, inflation-adjusted, after-tax return of 6% per year, you’ll be $115,000 better off at the age of 65. Increase it to $50 a week, and you’re getting close to $300,00 at age 65. One of the most universal, reliable predictors of human behaviour is inertia. We live in behavioural grooves and it can take a lot of effort to change our habits. It takes a little effort to make these changes. Much less than you’d probably think, but even the mental barrier is a barrier. I’m not saying you need to do any of these things right away. But if you’re reading this you’re human, so I know another thing about you. You ocassionally have “motivational waves”. Sometimes you have the get-up-and-go to do something different. When that happens, make one of these changes, so that “normal you” doesn’t have to do anything. Ask your employer to increase your contributions to KiwiSaver. Bump up your loan repayments (after you check that there are no penalties for doing so). Set up an investment plan and make some automatic payments into it. Then sit back. And enjoy some peace of mind. Because inertia – nay, laziness! – will do the rest. What changes will you make, to take advantage of inertia?